Your eyes aren’t just the window to the soul—they also can reveal a lot about your heart. High blood pressure or blocked arteries can be visible through the eyes. Within your eyes, there are tiny blood vessels called, retina vasculature. These vessels are linked with the heart. Learn how your heart connects to eye health and vice versa. Hypertension, more commonly known as high blood pressure, occurs when the weight against the arteries is to too strong. When blood pressure is high, it can damage the eyes, by putting pressure on blood vessels. This can cause blood clots, bleeding in the eye, blurry vision, and even blindness. Hypertension can also lead to stroke or heart attacks. 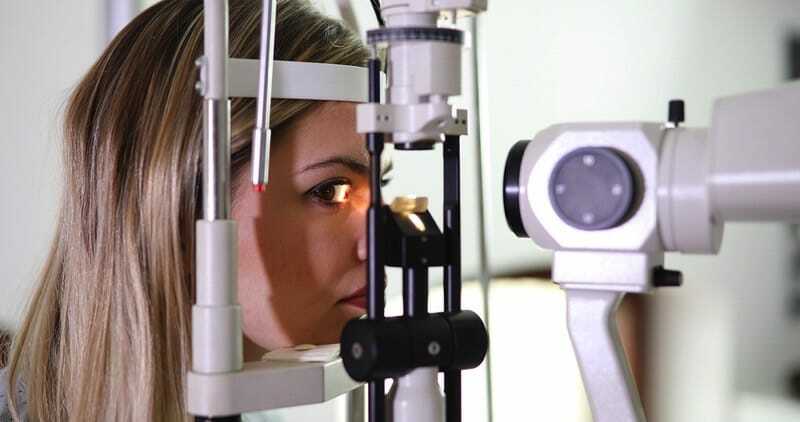 During an eye exam, a doctor will look for narrowing blood vessels, swelling, spots on the retina, and bleeding. If you’re having any issues with your eye health or suspect you have high blood pressure, see a doctor right away. Through the eyes, a doctor can detect a blocked artery. Arterial embolisms are very serious especially if it’s in the carotid artery. This blood vessel transports blood to the head and neck. A blood clot here, although it may seem small, can cause blindness, tissue damage, stroke, and in worst case scenarios, death. Diabetes, in a roundabout way, affects both your eyes and heart. Doctors can diagnose diabetes through an eye exam. Common symptoms are cataracts, worsening vision, and even blindness. Diabetes has damaging effects throughout the body, including to the heart. Diabetes encourages cardiac problems, which can inevitably lead to heart attacks or other heart diseases. An eye exam can catch diabetes and allow your doctors to provide the proper treatment before the disease takes hold on the body. Patients who are overweight, smoke, or have a history of heart disease are at greater risk of developing eye diseases and heart conditions. Regular checkups, a healthy diet, and adequate exercise can protect your heart and eye health. If you want to take care of your eye health, we can help. Book an appointment with your Valley Eyecare doctor today. Call us at 602-955-2700 or schedule your next appointment online.